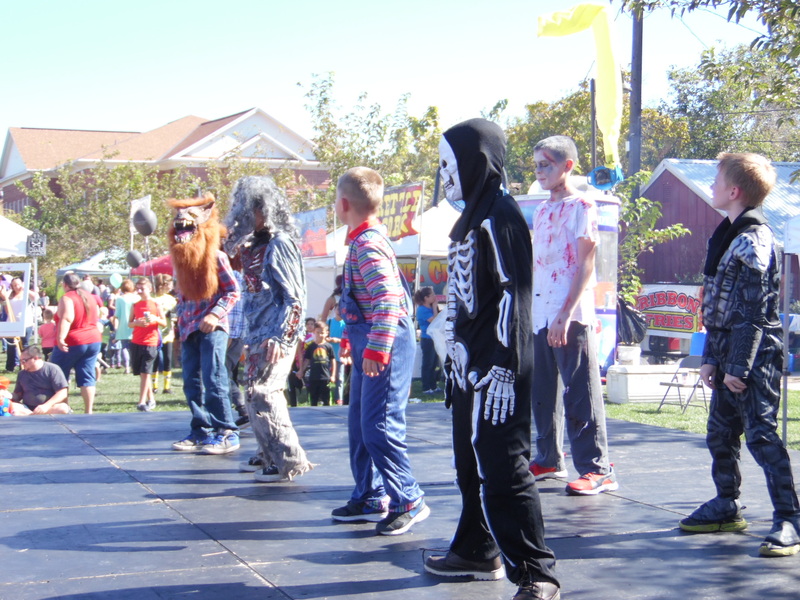 ST. GEORGE — Long a rite of autumn in Southern Utah, the free Spookytown Fair returns to St. George Town Square Park on Saturday. Hosted by the St. George Area Chamber of Commerce, the family-friendly community festival is expected to attract thousands and is designed to showcase all that Southern Utah has to offer, including free kids games, food options, live performances and vendor booths. Attendees will also get to learn about various local businesses as well as many nonprofit organizations. Vendor booth spaces can be purchased by Chamber of Commerce members at a discounted price. Those who are not members of the chamber can purchase booth space at the regular price. A portion of the proceeds from Spookytown go toward scholarships for high school students intending to pursue higher education at Dixie State University or Dixie Technical College. Food trucks will be in abundance, offering a variety of menu options. For businesses wanting to purchase booth space or become event sponsors, please contact Susi Lafaele at 435-628-1650 or by emailing susi@stgeorgechamber.com. When: Saturday, Oct. 20, from 10 a.m. to 6 p.m.
Where: St. George Town Square Park, 50 S. Main St., St. George.